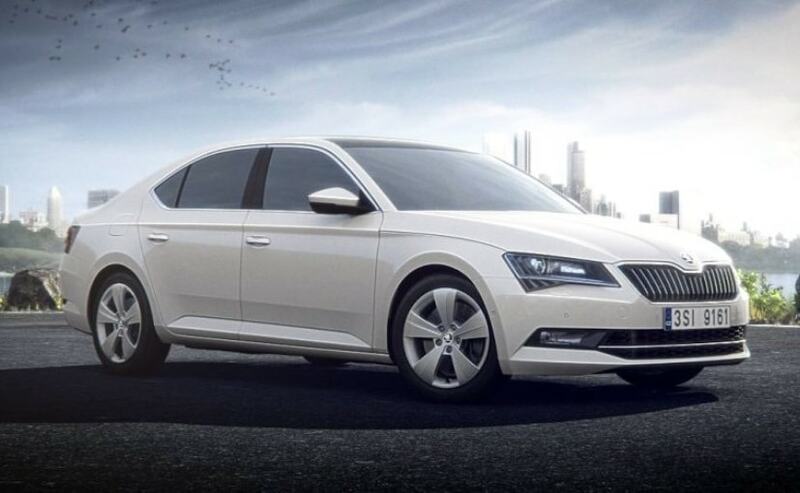 The Skoda Superb Corporate Edition is only available for existing Skoda and Volkswagen customers. Based on the Style variant, the car is Rs. 2.1 lakh cheaper and only comes in 'Candy White' shade. Skoda India has launched a new entry-level variant of its flagship sedan Superb, priced at ₹ 23.49 lakh (ex-showroom, pan India). Named the Skoda Superb Corporate Edition, the car is based on the existing Style variant of the car and gets all the features the latter has to offer and it's cheaper by ₹ 2.1 lakh. So, what's the catch? Well, the car is right now only available for existing Skoda or Volkswagen customers and the company's corporate customers, who might wish to upgrade from their existing Rapid, Octavia, Vento, and Jetta models. The car is available in only a single "Candy white" paint shade, and the deliveries for the car will commence from September 2018. In terms of powertrain options, the Skoda Superb Corporate Edition will come in only one engine option - the 1.8-litre TSI petrol. The motor is capable of churning out 178 bhp at 4000-6000 rpm and develops a peak torque of 320 Nm at 1450-3900 rpm. Skoda is also offering the car in only manual transmission option, and the engine comes mated to a six-speed fully synchronized gearbox. On the features front, as mentioned earlier, the Superb Corporate Edition is identical to the Style variant. This means, the car features 17-inch alloy wheels, bi-xenon headlamps with DRLs, LED taillamps, and chrome grille. The cabin features include stone beige leather upholstery, panoramic electric sunroof, 12-way power seat for driver and memory function, and touchscreen infotainment system, 8 speaker setup with audio control on the steering wheel, climate control and more. The car also comes with hill hold control, electronic stability control traction control, ABS with EBS and 8 airbags all come as part of the standard equipment. Skoda says that it will monitor the Superb Corporate Edition gets and based on that will decided whether to launch it for general customers or not. Right now, the regular Superb comes in two variants Style and L&K, priced at ₹ 25.59 lakh to ₹ 32.99 lakh (ex-showroom, Delhi). In India, the Skoda Superb rivals the likes of Volkswagen Passat and Toyota Camry Hybrid.